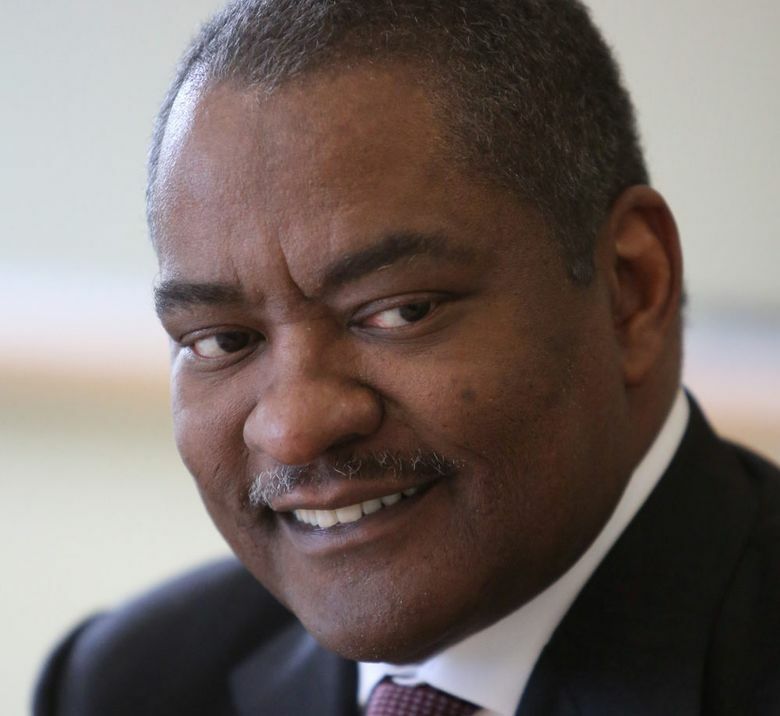 Washington State University President Elson Floyd is one of the highest-paid public-college presidents in the country, and the institution’s regents say he’s worth it. Washington State University President Elson Floyd is the fourth-highest-paid public-college president in the nation, according to new data released Sunday by The Chronicle of Higher Education. And worth every penny, says Mike Worthy, former chair and member of WSU’s Board of Regents. Floyd, 59, has served as president of WSU for eight years — longer than any of the other university presidents currently in office at Washington schools. He is now on medical leave, according to a Friday announcement from the WSU Board of Regents. The university released few details, other than that he will receive cancer treatment. The Spokesman-Review of Spokane reported that he has colon cancer. Some people who talked with him Friday said Floyd is optimistic about recovery. Floyd made $877,250 in 2014, including deferred compensation of $152,250, which he received in 2014. When only base salary is taken into account, Floyd’s base of $725,000 was the second-highest among presidents of the nation’s public colleges in 2014, according to The Chronicle. He is the highest-paid university president in Washington state, as well, making more in 2014 than the UW’s former president, Michael Young, or the UW’s current interim president, Ana Mari Cauce. Worthy said Floyd has racked up an impressive list of achievements since he started the job in 2007. For example, WSU enrollment has grown by 17 percent under Floyd’s tenure, and the percentage of students of color has grown from 14 percent in 2007 to 26.5 percent in 2014. “We’re starting to look much more like the population of our state, which, in our view, has consistently been the objective,” Worthy said. Among Floyd’s other achievements: Tripling the amount of money WSU receives in research grants, to $600 million a year, and completing 30 construction projects across WSU’s four campuses (Pullman, Spokane, Vancouver and the Tri-Cities). This year, he worked to create bipartisan support for a bill that allows WSU to start a new medical school at WSU’s branch campus in Spokane. Floyd makes significantly more than the typical public-college president, who earned just over $428,250 in the 2014 fiscal year, said Chronicle database reporter Sandhya Kambhampati. “When we’ve spoken to boards of trustees, they tell us there’s a finite number of people for these positions, and in order to retain these presidents they will pay what it takes,” she said. The Chronicle found that, on average, presidential pay increased 7 percent between 2013 and 2014. Kambhampati noted that in recent years, Floyd has consistently been in the top-20 of highest paid public-college presidents. For example, Floyd was the third-highest-paid college president in 2012 — the year that he earned a $500,000 deferred- compensation payment in addition to his base pay. During the recession and its aftermath — between January 2009 and December 2012 — Floyd voluntarily reduced his own salary by $100,000 a year. He described it as a case of leading by example, at a time when faculty salaries were frozen, programs were being cut and tuition was growing by double-digit percentages. More recently, in 2014, Floyd’s contract was extended by seven years — an idea that he himself suggested, after he told the board he had a lot of work he wanted to accomplish at WSU and intended to stay until he retired. Last month, WSU regents voted to increase Floyd’s base salary by 6.9 percent, bringing it to $775,025. It was the first increase to his base pay that Floyd had received since 2008. Worthy said Floyd managed the university’s budget so skillfully during the recession that he was able to find money to raise faculty and staff salaries two times in recent years, for total increases of 8 percent. During those times, he told the regents he did not want a raise himself. Floyd’s starting salary at WSU was $600,000, but Worthy said regents quickly came to believe they’d hired a superstar — and needed to pay him accordingly. Ana Mari Cauce is receiving $524,784 while she serves as interim UW president. Cauce’s predecessor, Michael Young, made a base salary of $622,008, which made him the 28th highest-paid public-university president in 2014, according to the Chronicle’s data — although Young would have collected nearly $1 million in deferred compensation if he had remained at the UW for another year. Because the Chronicle data lags current figures by a year, it doesn’t reflect how Young, now president of Texas A&M University, is doing today. Down in Texas, he’s making a $1 million base salary and $200,000 annually in deferred compensation. He also received an $800,000 signing bonus and is eligible for other bonuses. Total 2014 compensation for the top five presidents and former UW President Michael Young.